I’m wife to a man I fell in love with when he sang the Cowardly Lion song from The Wizard of Oz, mother to THE two most handsome, smartest, wonderful sons in the world (as of now, 21 and 17) and live in near-paradise (the San Diego area). I love beautiful things that God created, sunsets being one of my favorites, and believe that He placed a huge desire in my heart to create also – it’s been a part of me my entire life! I’ve created all kinds of things through out the years, but my main focus the last few years has been taking “life’s leftovers” and reusing, repurposing and recreating – including home interior items. But the last couple of years, I’ve concentrated on re-creating jewelry with broken & vintage pieces. Inspired by the words of Jesus, “…Let Nothing Be Wasted” (John 6:12) and encouraged by friends, I started turning some of those life’s leftovers into one-of-a-kind creations and selling them. My next goal is to get myself more organzed, start working MORE and CONSISTENTLY on the BE CREATIVE aspect of this blog…and perhaps revive my now-dormant Let Nothing Be Wasted blog. You do have a lovely family. My two sons are 23 and 19 so we are about in the same place in life. I live across and down from you in Lower Alabama. Thanks for the compliment! We need to take a new photo this summer. My youngest doesn’t want to look like a “baby” in photos that I display anymore. 🙂 But I had my babies late in life so I’m sure I’m older than you. I grew up in Arkansas so we have more in common! I LOVE your blog! So inspiring to me to get back to being creative. I’ve been so busy with work & family & trying to keep up with this blog, that creativity has taken a back burner. I love the idea of the praying in color. I’m going to try that…maybe it will kick-start the creativity. Thanks, Diane for checking me out & leading me to your site! Thanks for subscribing to my blog! I hope you are blessed by it! I have enjoyed reading yours as well. May the Lord continue to bless you as you experience a close, intimate relationship with Jesus and with the fellowship of the Holy Spirit! 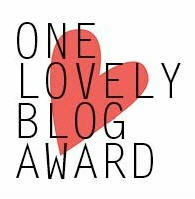 I am honored to nominate you for the Super Sweet Blogging Award. I appreciate how you follow the direction of the Holy Spirit in inspiring your readers! 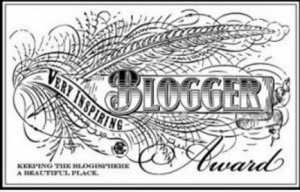 You may pick up your award at aviesplace.wordpress.com. 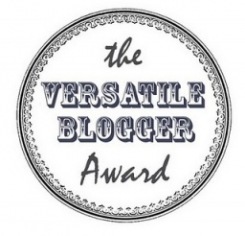 Copy and Paste the Award to your blog and follow the rules of acceptance. God Bless! Well, thank you ma’am! That’s sweet of you..no pun intended! I’ll come check it out…. You’re welcome! God bless you!